I don’t usually like to go to movies on their opening weekend—crowds of more than twenty tend to make me nervous—but it can occasionally be fun to see a big movie in a packed house. You get caught up in the atmosphere of the whole affair and have a better time than you would were you sitting alone in your living room. That certainly happened when I watched Iron Man 3 this last weekend. It didn’t hurt that Shane Black has directed and co-written (with Drew Pearce) a much better flick than I was expecting. 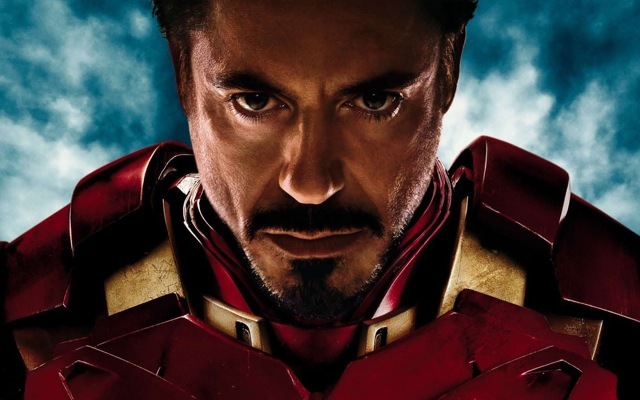 The biggest problem with Iron Man 3, and it’s a pretty big problem indeed, is that the antagonist has no clear motive. I believe that antagonists are, or should be, the heroes of their own stories, which is to say that they have perfectly rational reasons for doing the absolutely vile things they do. They must, after all, be able to justify their actions to themselves. Audiences deserve, if not a well-rounded antagonist, at least one who makes sense. Not only does the antagonist here—the true antagonist, that is—lack any rational reason for doing what he does, but, unless I missed it, he lacks much of a reason at all. Shane Black and Drew Pearce are deft enough writers that one almost doesn’t notice this. Before the real antagonist is revealed, we are given The Mandarin (played brilliantly by Ben Kingsley, one of the highlights of the film), and his reasons for committing acts of terrorism are made perfectly clear, so when The Mandarin’s actual role is revealed—he is the Great and Powerful Oz, a fiction created solely to hide the man behind the curtain—you almost fail to realize that all his previously-explained motives no longer hold any water at all. He isn’t, after all, what you thought he was. It is a nice turn, and the scenery is great, so it’s a while before you realize the train’s gone off the rails, but it absolutely has. I do not believe in this movie’s technology, which is a bit of a problem, since the plot hinges on it. Aldrich Killian (Guy Pearce) has funded research which resulted in an experimental serum called Extremis. Extremis alters the DNA of those injected with it in such a way that when they are seriously injured their bodies regenerate. Severed limbs are replaced in seconds, cracked skulls and broken necks are small problems to be solved. This I have no problem believing in. But a side-effect of Extremis is that those who are injected with it sometimes explode. Those who don’t, burn so hot that they can melt steel with their mere touch. Killian is even shown once breathing fire. This is where I stop believing. These people are, after all, flesh and blood. I’m fairly certain that not even a trace of DNA would survive such heat, altered or not. This may seem nitpicky, particularly since this is a comic-book movie, but I don’t think it is. All I need in order to believe is an explanation, but the explanation is never provided. Nor are the rules laid out. How much of one of these Extremis soldiers can be hacked away before regeneration ceases to be possible? What are the rules for killing them? We don’t know. But sometimes they die while other times they don’t. Even ghost stories need rules; internal consistency is important. There are no rules here. Things just happen. One of the best sequences in Iron Man 3 involves Tony Stark (Robert Downy Jr.) putting together technology from a hardware-store scavenge and then using that technology, in MacGyver-like fashion, to infiltrate The Mandarin’s lair in Miami. It is great fun to see Tony Stark working with pieced-together gear rather than cutting-edge technology. It adds a sense of risk and fun to the whole affair. But here’s the thing. Once the credits were rolling, I was not at all certain that this sequence was necessary. It made sense while I watched, as I thought Stark’s Iron Man suits were destroyed earlier in the film, but it is later revealed that they have not. The suits are deployed as drones in the big climax. Why, then, were none of these suits available during the infiltration in Miami? I’d bet green money that Shane Black and Drew Pearce know the answer to that question (they’re smart writers), but I do not. As an audience member reflecting on the story’s events, I think I should. This type of information needs to be made clear enough, in my opinion, that those who’ve seen a movie can reconstruct the plot from memory. They should, at least, if the goal is a coherent story. Despite its problems, Iron Man 3 succeeds as an entertainment. While the movie flashed before my eyes I was willing to be manipulated by what happened onscreen, and so was the audience I watched it with. When the dialogue was funny, we laughed. When the action was high, we gasped. When a scene was touching, we were touched. Structure is important. Good dialogue is important. Internal consistency is important. But these things will get you nowhere if you fail to entertain. That doesn’t mean filling a script with big set pieces, though that rarely seems to hurt; it means only finding something that will get down past the brain and into the gut, and then exploiting it. You might do it subtly, as many smaller films do, or you might do it, as Shane Black and Drew Pearce do in Iron Man 3, with all the force of a sledgehammer at full swing, but it ought to be done. Iron Man 3 is not great cinema, but, for all its faults, it remains a fine entertainment, which, after all, was very likely the primary goal of the filmmakers. Ryan David Jahn is the author of four novels. His first, Good Neighbors, won the Crime Writers’ Association John Creasey Dagger, and his third, The Dispatcher, was recently optioned for film by Anonymous Content. His work has been translated into twelve languages. You can find out more about the author and his books at http://ryandavidjahn.com. I think in a lot of ways this is all true. The statement that rings true most of all though is the very fact that the film is entertaining. Ok, there are plot holes and contrived situations but the dialogue is good, the pace of the film is good and the two hours spent in the cinema were filled with from start to finish with good old fashioned entertainment. You suspend belief in films such as Iron Man – The Avengers – Ted, etc. They are not necessarily Oscar winners or meet the requirements set out in the 3 points above. What they do however is entertain and that is the magic of good screenwriting. player. Sounds like motivation to me. heated people is just impossible to believe. Human Torch. It’s Marvel. not 100% spelled out but it seemed obvious to me. I didn’t have any problem with suspending my disbelief, until the scene where Tony Stark did all the weird hand gestures while he was tied to the box spring. We were told that Tennessee was 800 miles away, and within a couple minutes, his armor had flown from the barn to his location. Even if the armor flew at 800 miles an hour, it would still take, well, an hour. To cover 400 miles per minute, as it did in the movie, it would have to fly 24,000 miles per hour. And each piece, including his helmet supposedly had the rocket AND fuel to fly that far and fast? Nupe! Guys melting steel and breathing fire? No problem. Growing back limbs after an injury? Absolutely. Miguel Ferrer being elected Vice President. Sure, I even voted for the guy. But an empty helmet covering the longest state in the country in 120 seconds? That’s where I was jarred back out of the movie.